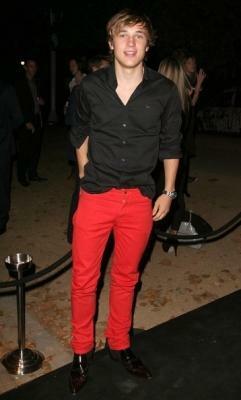 Red Hot Peri-peri... Oops I mean Pants. What did Demi Moore wear to a red carpet event? RED HOT PANTS. Rihanna even ditched her red hair for her red hot pants! Need I say more? And who would have thought that even the guys are jumping on the bandwagon? 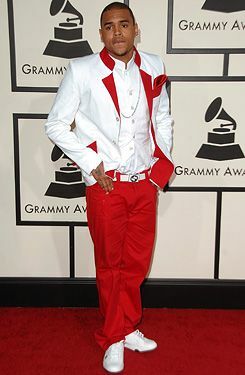 Chris Brown! Albeit gangsta style. Reason why these red pants are so trendy lately it because they look amaaazing in black and white for a chich look (as you can tell from above), and goes with any other bright colors if you're looking to do color-blocking! My personal favorite would be a cobalt blue top or a bright pink sweater. Excited on getting your very own pair that yells "fashionista" but unwilling to burn a hole in your wallet? Here I've sourced three pairs from ASOS that are currently on sale and guess what? UNDER 50 BUCKS. I sure hope this post makes your day. That's 50% off if you didn't notice! 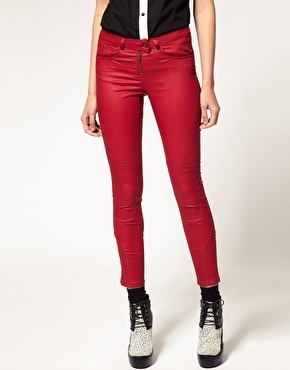 And lastly, a red hot peri-peri pair from Nasty Gal. 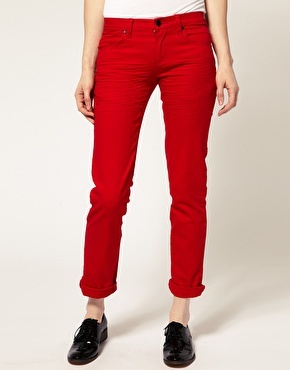 Primary Skinny Jeans in Red, USD$58. 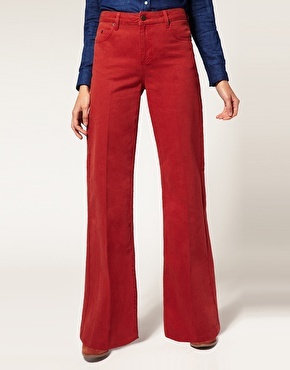 I'd love to see you guys in your red pants! Do send me link/ share a picture to brighten up my day!